The GTXO-94J has no configurable options. The GTXO-94J is supplied on tape and reel. 3k pcs per reel is the standard T&R pack size for this product. Partial quantities may be supplied on tape (no reel), or in bulk. 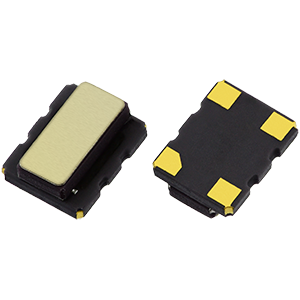 The GTXO-94J is a tight stability 32.768kHz 2.5V temperature compensated oscillator which provides a very low power solution, consuming typically just 1.05µA. This makes the GTXO-94J ideal for use as an RTC reference or within data loggers, smart meters and other portable devices which depend on battery supplies. The tight stability of the GTXO-94J, just ±5ppm, also means that this product is suitable for applications which require tight stability output at 32.768kHz. You can find full pricing information and more details by submitting a quotation request here, or giving us a call today on +44(0)1460 256 100 to talk to a member of our expert team. To request a quotation for the GTXO-94J please use the configurable options form to choose the options you require and then submit your configured product to our team. Our expert advisers are always happy to help with your requirements and can be contacted on +44 1460 256 100 or at sales@golledge.com. The GTXO-94L provides extremely stable 3.3V CMOS output, with tight stability of just ±5ppm. This tight stability at 32.768kHz, coupled with extremely low power consumption of just 1.37µA, make the GTXO-94L ideal for use as an RTC reference, within smart metering solutions, data logging or any portable devices. Find more information on this 3.3V TCXO here. The GTXO-94G provides extremely stable 1.8V CMOS output at 32.768kHz, with tight stability of just ±5ppm. The GTXO-94G is ideal for use as an RTC reference,or within any portable devices due to its exceptionally low power consumption of just 0.79µA. Find more information on this 1.8V TCXO here. If you're looking for an RTC reference or need an extremely stable 32.768kHz output, you should consider the GTXO-94N. 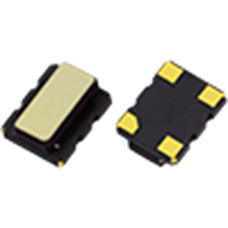 Providing extremely stable 3.0V CMOS output, with tight stability of just ±5ppm. This TCXO also has low power consumption of just 1.25µA, making the GTXO-94N ideal for use in any portable devices. Find more information on this 3.0V TCXO here.